Colour photograph of L-R: Iain MacKinnon, Hillcrest, Balephetrish, and John Holliday ready to set sail in a ‘Heron’ sailing boat in Scarinish Harbour at the 1988 Tiree Regatta. 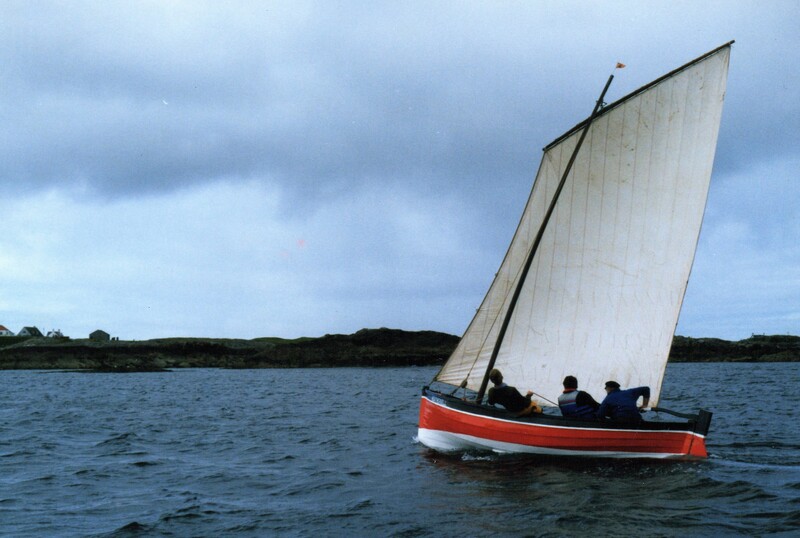 Colour photograph of a traditional dipping lug-sail boat ‘Heatherbell’ off Scarinish at the Regatta in 1988. 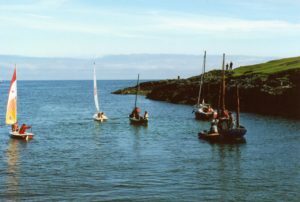 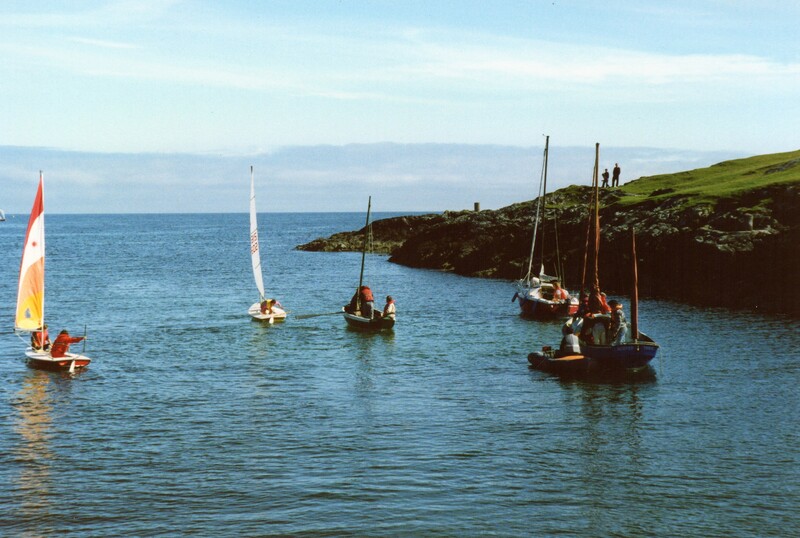 Colour photograph of boats at Scarinish Harbour heading out to join the Regatta in 1988. 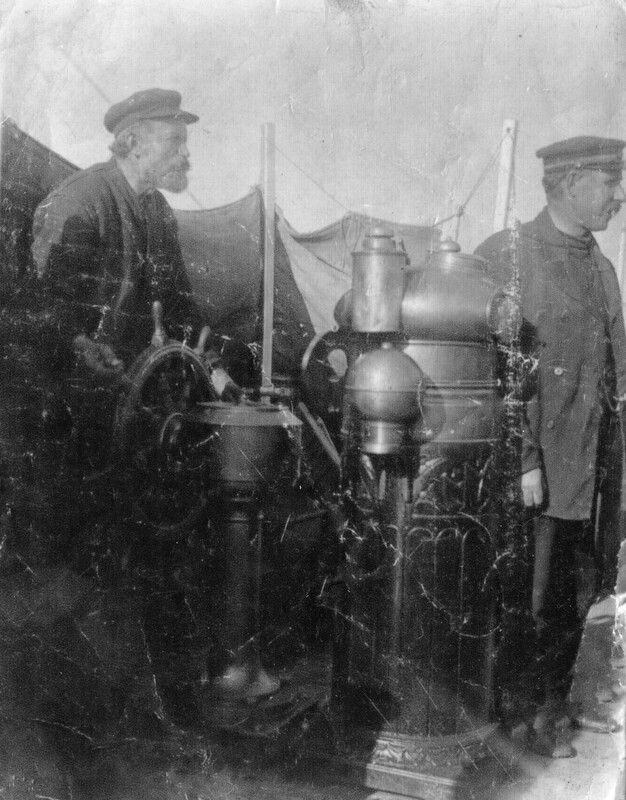 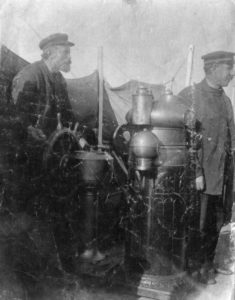 Black & white photograph of L-R: Dugald MacKinnon, Caoles (“Mackenzie’s grandfather”) and Hector MacKinnon, Kilmoluaig (“Mackinnon’s grandfather”) aboard the ‘Coll Castle’. 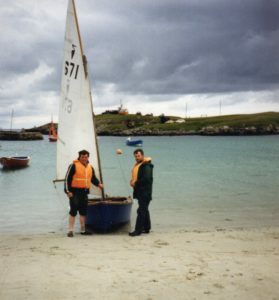 Information about the sailing yacht ‘Oceana‘, which was wrecked at Crossapol beach in 1949. 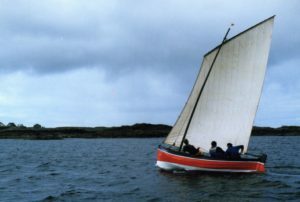 Written in 2018 by James MacGregor, Ullapool, for a book about the men of Lochbroom who served on the boats of the rich and famous in the years around 1900. 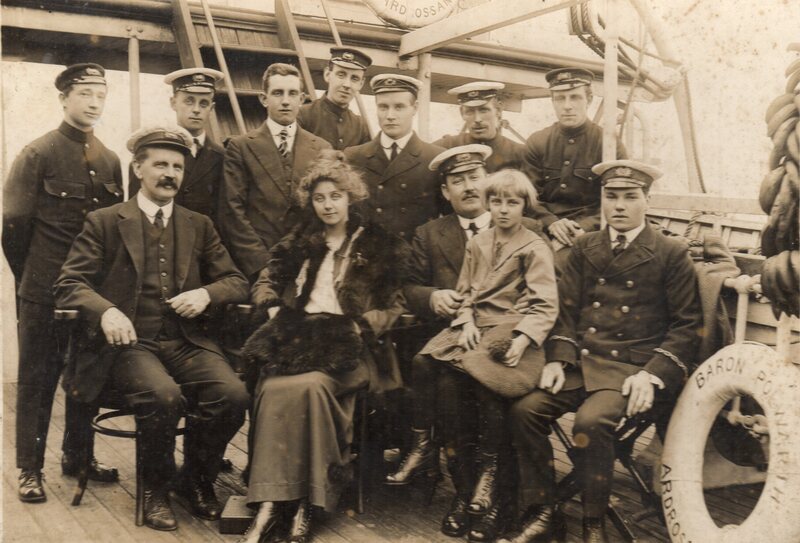 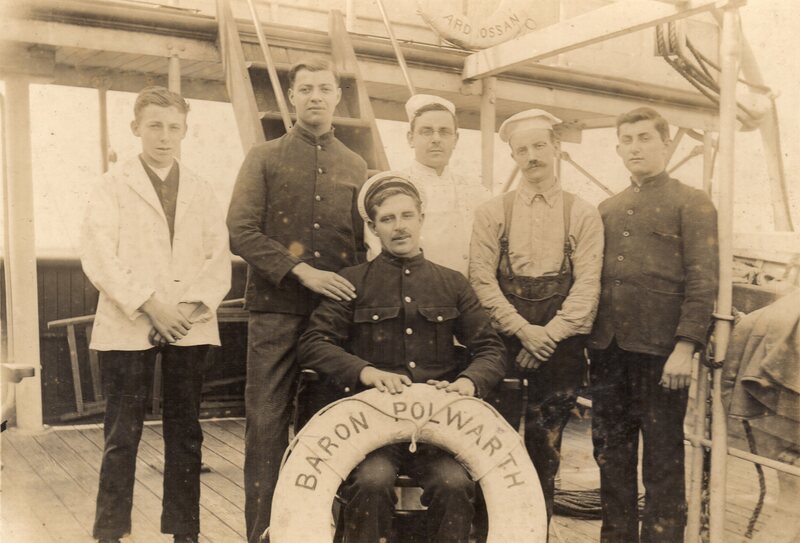 Black & white photograph of unidentified ship’s crew on the deck of the Baron Polwarth. 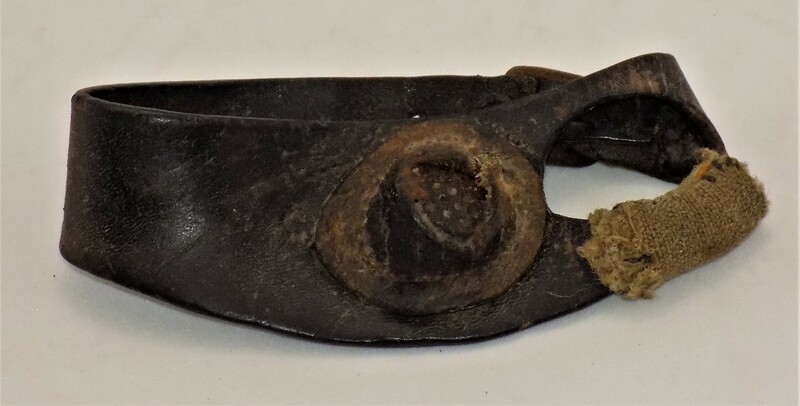 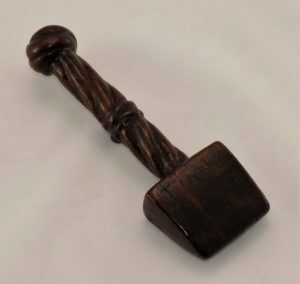 From a collection of items found in Milton Cottage, Caoles. Black & white photograph of unidentified naval officers and guests on the deck of the Baron Polwarth. 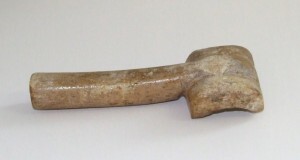 From a collection of items found in Milton Cottage, Caoles.